Turn scribbles into wonderfully neat handwriting with a rainbow-bright learning pack. First you trace the lines, then draw shapes… then write whole letters! Mistakes? Just wipe them clean and start again! 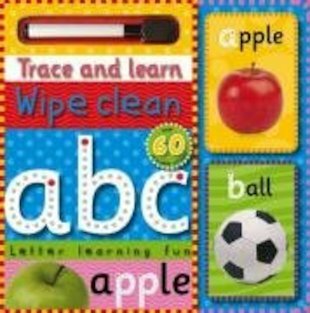 Inside this pack you’ll find a wipe-clean board book full of easy hands-on exercises to help you start to write, plus beautifully bright ABC flashcards to help you read and spell some everyday words. As if that wasn’t enough, there are also 60 colourful stickers to decorate everything! Learning has never been so irresistible.